Your ability to fight off a disease or resist an infection is what is known as immunity. How quickly you are able to recover from an illness or how often you fall sick is an indication of how strong your immunity is. A strong immunity is a sign of good health. It means your white blood cells are able to fight off likely infectious diseases and you are less likely to catch an infection. You might have noticed that friend of yours who almost never gets sick. Chances are, she has got a strong immune system. Well, don’t be jealous. You too can have a strong immunity to diseases. And no, it doesn’t cost a fortune to strengthen it. All you need is to follow these tips and you might be spending a significantly lesser time on the bed with a runny nose. It might surprise you but there are some fats that are good for you, like unsaturated vegetable fats that are essential for building cells. Sheldon Cohen, a psychology professor at Carnegie Mellon University, conducted a research in which he found out that people who described themselves as happy and lively were three times less likely to get sick when compared with people who said they were sad or depressed. Positive emotion helps produce more cytokine to help recruit immune cells to fight off infections. Exercise has always been identified as the corner stone for a healthy lifestyle. But exercise can also help your immune system fight off infectious diseases. According to an article published by Harvard’s medical blog, exercise directly contributes to a healthy immune system. It increases circulation which enables cells and substances of the immune system to move through the body with ease and perform their functions efficiently. This might seem like your grandmother talking but avoiding extremely cold temperatures does actually prevent you from catching a cold. Although a study published in The New England Journal of Medicine in the late 1970s famously debunked the belief that the common cold is linked to cold exposure, British researchers have found that while exposure to moderate or mildly cold temperatures does not affect your health, getting exposed to freezing temperatures can make you sick. Laughing has been found to be an extremely strong defense against infections. A good laugh can increase the number of anti-bodies in the blood and improve natural killer cell activity. Apart from a stronger immune system, laughter also helps you enhance digestion, decrease muscle tension and reduce blood pressure. It is an agreed upon fact that stress is bad for your health. It reduces the production of hormones that fight off infections. Letting your hair down for a while and getting adequate sleep in essential in keeping your body immune to infections. Night light is a common accessory in people’s bedrooms today. But our body produces melatonin (a hormone that prevents certain diseases) only when it is completely dark. You might be in a habit to check your mobile in the middle of the night or not be getting adequate sleep which reduces melatonin production. So keep away your mobile phone and turn off that night lamp to stay healthy. Yes people are annoying. And yes, meeting them is a chore. But meeting other people increases your immune system’s ability to fight infections. You might think it weird, since meeting other people is how you are supposed to catch infections but that is for when you meet sick people. Meeting healthy people, on the other hand, is absolutely fine and definitely helps to fight off diseases. Your immune system likes it when you spend time with friends. “We have phenomenal data showing the value of nurturing, social support and camaraderie,” says neurologist Barry Bittman, M.D., CEO of the Mind-Body Wellness Center in Meadville, Pa.
Stay away from sugar. According to a 1973 study done by Loma Linda University, sugar impairs the ability of white blood cells to deactivate or kill bacteria. And it doesn’t have to be a whole lot of sugar either. Just 10 teaspoons is enough. You might think, ‘’Hey! I don’t put that much sugar in my coffee!’’ but you forget that coffee or tea isn’t the only source of sugar. 10 teaspoons of sugar is about the amount of sugar in two 12-ounce soda cans or carbonated lemonade. And you know just how obsessed this country is with soda. Another food category to avoid is, surprise surprise, junk food. Every single person in this world knows just how bad junk food can be for their body. But it is just so good, that nobody can help it. Well, as tempting as it may look and as delicious it may taste, you should know that eating junk food excessively compromises your immune system’s ability to fight off infectious bodies. Eating fast food that is devoid of nutrition, you are making your digestive system work harder to process something that will be of no benefit to your body. 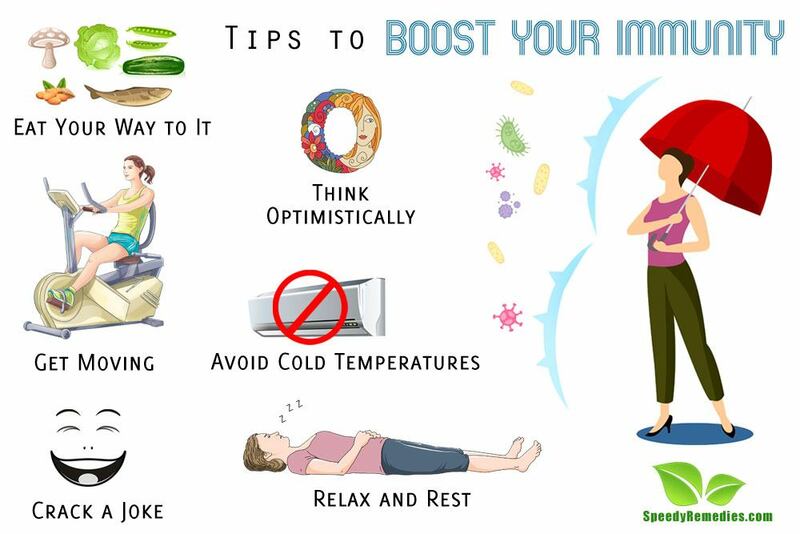 Developing strong immunity is important in order to live a healthy life. Rushing off to get a vaccine shot or taking in a dosage of antibiotics is not the solution. In fact, over dosing of antibiotics can actually weaken your immune system over time. It makes your body more susceptible to diseases and prolong recovery period. Isabel Gordo’s laboratory, at Instituto Gulbenkian de Ciência (IGC, Portugal), show for the first time that resistance to antibiotics and to the immune system is interconnected in bacteria. The researchers further discovered that bacteria adaptation to the immune system influences the spectrum of antibiotic resistance and, as a side effect; bacteria become more resistant to some antibiotics. This is why it is important to bring about changes in your lifestyle that provide natural boost to your immune system. Just stuffing your body with chemicals can lead to harmful effects. But inculcating a few healthy habits is beneficial to your body and strengthens your immune system without any side effects.